Calcium is the most abundant mineral in the body, but that doesn’t necessarily mean everyone is getting enough of it in their diet. Calcium is essential for a healthy heart, bones, blood, and more. If you’re concerned about getting enough calcium to strengthen your bones and protect yourself against osteoporosis, there are many foods you can add to your diet today. Nuts and seeds aren’t the first thing most people think of when they’re looking to increase their calcium intake. But think again: a half-cup serving of tasty almonds contains 125.5 milligrams of calcium, or 12.5% of the recommended value for the day. In addition to helping strengthen your bones, almonds promote weight loss, colon health, and heart health. Sesame seeds are known for the delightful taste and subtle texture they bring to many meals. But you might not have known that an ounce of these tiny seeds can provide you with an impressive 277 milligrams of calcium. Sesame seeds are also a viable source of several other nutrients and minerals including copper, manganese, iron, and fiber. Start experimenting with new ways to use them in your cooking. The vitamin C in oranges is good for your immune system, but oranges are also an incredible source of bone-strengthening calcium. Fresh-squeezed orange juice is a great way to start your day, but for the most health benefits, consume the entire orange (minus the peel, of course). 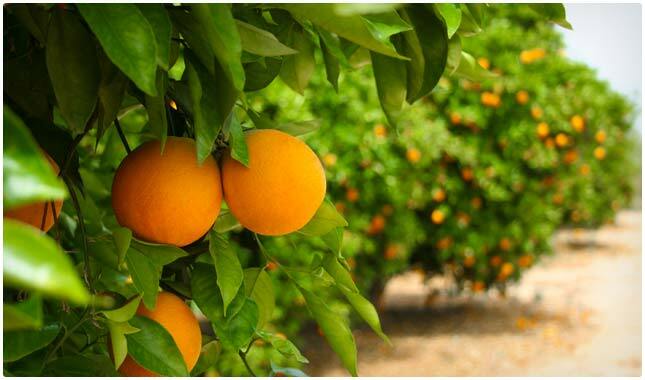 One orange accounts for about 5% of the calcium the average person needs for the day. Quinoa is widely considered to be a grain, but it’s actually a type of seed. Whatever the case, quinoa is a great food to add to your diet, especially if you’re concerned about getting enough calcium from a non-dairy source. One cup provides your body with 31.5 milligrams of essential calcium, or about 3% of what the average person needs per day. In addition to strengthening your bones and preventing osteoporosis, quinoa has been shown to increase stamina, promote healing, and reduce the frequency of migraines. Many people are unsure whether they’re getting the same amount of calcium with skim milk as they would with 1%, 2%, or whole milk. Since calcium is not contained in the fat portion of milk, none of the calcium is lost when the fat is removed, as in skim milk. If you can’t handle dairy, see our vegan milk guide for a non-dairy source of calcium. You might think of kale as little more than a garnish, but as it turns out, just a cup of healthy raw kale contains 90.5 milligrams of calcium, adding up to about 9% of the daily recommended value. If you’re not sure how to eat an entire serving of these delicious dark greens, start by tossing a handful into your salad. You can also add it to soups, put it on a burger, or sauté it with olive oil and garlic as a fantastic side dish. The ancient Chia seed is a super food that has helped the health of many generations and cultures. They provide numerous health benefits, including reducing blood pressure, reducing arthritis pain, promoting weight loss, and more. The big surprise might be that Chia seeds are also a great source of calcium. A mere ounce provides 18% of the recommended daily value of bone-strengthening calcium. Even the word “Chia” is from the ancient Mayan word for strength. When enjoying a healthy salad or sandwich, opt for dark, leafy greens such as spinach instead of the lighter iceberg lettuce. If you do, you’ll notice an instant increase in flavor, but what you might not realize is that you’re adding piles of nutrients and minerals to your diet as well. 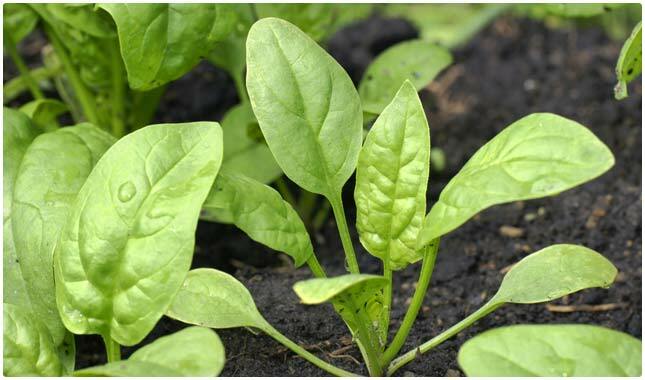 Raw spinach is high in vitamin A, vitamin K, fiber, potassium, and calcium, making it a super food that benefits nearly every aspect of your health. Don’t be thrown off by its sweet flavor; you can enjoy delicious blackstrap molasses as part of a healthy, calcium rich diet. A tablespoon of molasses provides 41 milligrams of calcium to your diet, so add it to your cereal, toast, milk, and warm water to enjoy a uniquely sweet treat that’s also high in iron and magnesium. Sardines often come packed in a tin, which is appropriate because these little fish are packed with all kinds of vitamins and nutrients. Sardines have been demonstrated to prevent certain diseases, reduce inflammation, lower cholesterol, and promote bone health. 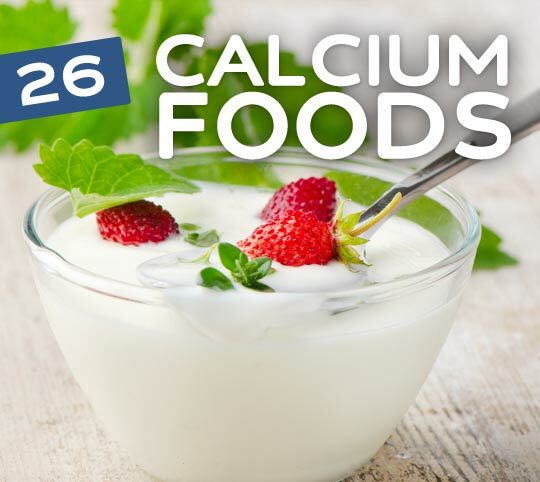 They have a high calcium content, making them a great addition to your diet if you’re looking to protect yourself from degenerative bone disease and osteoporosis. Many people switch from regular milk to soy milk because of the incredible health benefits of soy. Soy milk has as much calcium as skim, 2%, and whole milk, but its soy content brings several other health benefits to the table. Oatmeal is both filling and healthy, making it an ideal breakfast choice for people looking to improve almost any aspect of their health. It’s packed with fiber and is high in other vitamins and minerals, including calcium. A one-cup serving packs 84.3 milligrams of calcium, or about 8% of the recommended value for the day. If oatmeal on its own isn’t to your taste, try sweetening it with cinnamon or adding your favorite berries to make it more palatable. 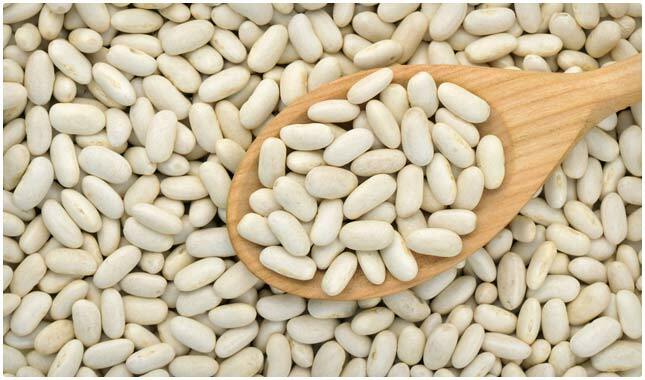 White beans are known by many for their high fiber, but they bring several other health benefits to the table with folic acid and other essential vitamins. Just a one-cup serving of these subtly flavorful legumes provides about 100 milligrams of calcium, enough to fulfill 16% of your recommended intake for the day. Beans are versatile and delicious, so it’s easy to incorporate them into any meal. Milk, cheese, and other dairy products are known for providing your body with essential calcium. Chief among them is Swiss cheese. A single slice accounts for 22% of the daily recommended value of calcium. As with most cheeses and dairy products, remember to enjoy it in moderation, as the calories can add up quickly. Salmon is a heart-healthy alternative to red meat. Enjoy it on a regular basis and you’ll be doing your body a big favor. Salmon is a viable source of calcium and vitamin b12, among other nutrients. Half of a salmon fillet, or 154 grams, provides about 23.1 milligrams of calcium, or 2% of the daily value. In addition to bone and heart health, salmon is known to prevent against certain cancers, increase cognitive function, and improve the health of skin and hair. Dried figs have a unique look and taste, but that’s not the only reason to love them. Just one of these sweet and healthy treats provide your body with 13.4 milligrams of bone-healthy calcium, accounting for 1% of the average person’s daily need. They’re also a great source of potassium and fiber, making them a great addition to a balanced diet. Soybeans often rate at the top of the list when it comes to health foods. They’re a great source of many vitamins and minerals that are essential to good health, including protein, iron, and fiber. And if you’re concerned about calcium, soybeans are a fantastic way to boost this essential mineral in your diet. They have a high concentration of calcium and isoflavones, which are crucial to bone health and can increase bone density. 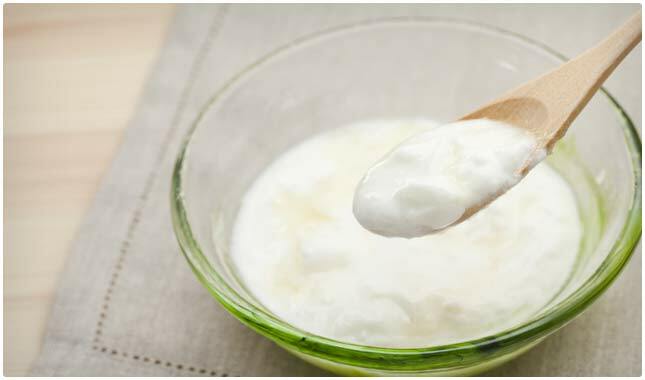 If you’re concerned about your calcium intake, grab a serving of yogurt for breakfast, lunch, or an after-dinner dessert and your body won’t be left wanting. An eight-ounce serving provides an incredible 30% of the recommended daily amount of calcium, and with only about 160 calories. The plain, sugar-free varieties are the best, and if the taste leaves something to be desired, make your own fruit yogurt by mixing in your favorite berries, or add a tablespoon of raw honey for a delicious fruit dip. Many people recognize turnip greens as a traditional Southern dish. Regardless of where you’re from, add more of these dark greens to your diet and you’ll enjoy the benefits of calcium, vitamin A, iron, and many other nutrients. Plus, a cup of turnip greens has only about 28 calories, so you can enjoy them liberally. A cup of boiled turnip greens provides an impressive 197 milligrams of calcium, as well as 32 milligrams of magnesium, which helps your body absorb the calcium more efficiently. For a healthy, balanced diet, you should be eating plenty of cruciferous vegetables. Broccoli, in particular, is great for bone health, as it contains high levels of calcium and vitamin K. These are both essential for bone health, bone strength, and the prevention of osteoporosis. Adding broccoli to your diet can also improve your blood pressure, immune system, and heart health. Brazil nuts are an incredible health food unique to the wild Amazon forest. Fortunately, you can find them for sale in most grocery and health food stores. These delicious nuts are large in size and packed with calcium. They provide 213 milligrams of calcium per one-cup serving. Be sure to enjoy them in moderation, as they also carry a higher calorie count than some other high calcium food choices. When buying tofu, be sure to check the label and make sure you’re picking up a brand that’s made with calcium sulfate. Just a single ounce of fried tofu provides about 56.3 milligrams of calcium, contributing 6% to the daily recommended amount. Many people need time to get used to the taste, but this super food is worth it. Tofu tends to take on the flavor of whatever you’re cooking it with, so don’t be afraid to experiment with your favorite meals. When enjoying your next salad, toss in a handful or two of tasty arugula. You know it’s healthy because of its rich, dark green color. 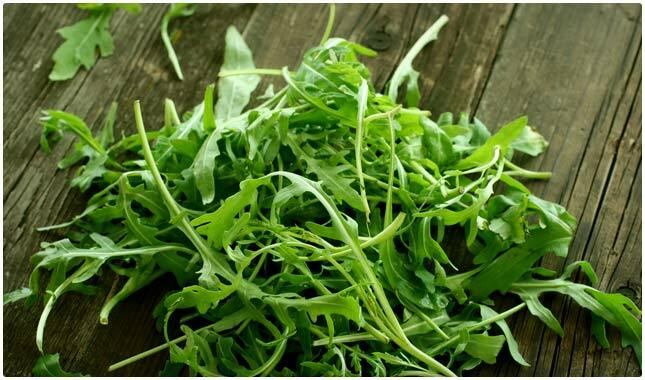 Just one cup of arugula packs about 32 milligrams of calcium. Make a large salad with lots of arugula, or add raw spinach into the mix for a super salad that’s jam-packed with nutrients. Sunflower seeds are a viable source of calcium, and they have many other health benefits along with strengthening your bones. They are known to improve heart health, reduce inflammation, prevent against some forms of cancer, and protect your skin from ultraviolet radiation. Enjoy them in moderation due to their calorie count, but overall they’re a great addition to a healthy and high calcium diet. Flaxseed is arguably the easiest and healthiest food you can add to your diet. Many nutritionists recommend consuming about one to two tablespoons of milled flax seed throughout the day. 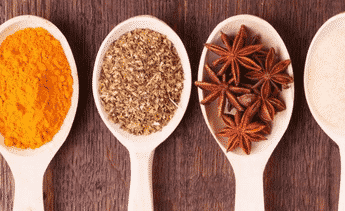 Fortunately, this versatile health food is easy to incorporate into your diet: sprinkle it over a salad or cereal, mix it in your favorite juice, or add it to a smoothie for starters, but the list goes on and on. Like other kinds of fish, herring is a great source of healthy fats, vitamins, and minerals such as calcium. One fillet, or about 184 grams, provides 105 milligrams, equating to around 10% of the calcium the average person should consume per day. The protein in herring promotes muscle repair and development, and the calcium boosts your bone health. It’s also known to improve heart health and cholesterol. Calcium is most often associated with bone health, and it’s essential in preventing osteoporosis, bone loss, and degenerative bone disease. It’s also an important factor in many other aspects of health, so make sure you’re getting enough calcium in your diet by adding any number of calcium rich foods to your plate each day. So…. I want to know what’s best…. I can’t do soy or milk, I heard it has to many problems. I want to take almonds with oatmeal, but I want to know what’s better than that. Milk is nothing compared to Almonds. I overheard Hemp Milk is really good, but to expensive. A serving size of quinoa cooked is 223 calories. You wouldn’t eat 1 cup of uncooked (which would equal a whole lot more than a serving size, so not 625 calories. My bottle of blackstrap molasses says it has 20% calcium in 1 tbls. Why the discrepancy between that and what you say here? Soy milk and Soy is GMO product, extremely dangerous for your health. New study links Soy milk with Breast Cancer! Regarding the molasses, another site stated 172mg/Tbsp. Based on a need of 1,000 mg of Calcium/day, that is 17.2% which is close to 20%. Pretty good source. Meeting our needs for calcium without supplements isn’t too difficult if you do your homework. I do a small amount of cheese without drinking milk. Calcium supplements really constipate me severely so I’m looking to stay away from them. They are pretty controversial and expensive.